Despite ongoing controversy surrounding the currently stalled negotiations between Vertex and the NHS to make its cystic fibrosis (CF) drug Orkambi (ivacaftor/lumacaftor) available for patients at a price the health service can afford, the US firm has angered critics in the UK with the announcement of a surge in profits in the last quarter of 2018 – profits it says was driven primarily by “the strong growth in total CF product revenues”. 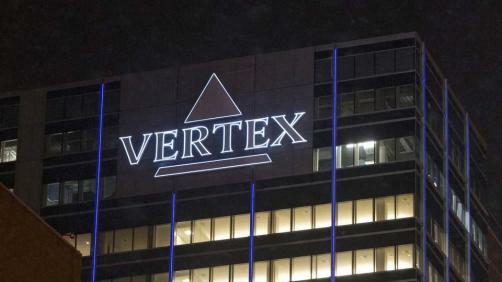 For the last quarter of 2018, Vertex reported an increase in revenue of 40%, while its profits for the same period more than doubled form $158 million to $337 million. Its CF drug Orkambi proved a key contributor to these swelling figures; with a price of £104,000 per patient per year in the UK, NICE has been trying to haggle with its manufacturer to bring the price down to a level that can be considered a cost-effective use of NHS resources, but negotiations have been stalled since last year following a rejection from NICE back in 2016, with Vertex reportedly turning down an offer from NHS England to offer the drug at £500 million over five years. The manufacturer has been under pressure to drop its price from a number of patient groups, who are now pushing for the UK Government to implement a provision under the 1977 Patents Act, which would circumvent Vertex’s patent and enable another drug firm to manufacture and sell Orkambi at a lower price, paying royalties to the patent holder. A genetic disorder which affects the lungs and digestive system, CF affects more than 10,000 patients in the UK alone, and it is thought that around half of this number would be eligible to receive Orkambi if it were recommended for use.